Classic mix of white blooms arranged into a geometric silver vase. 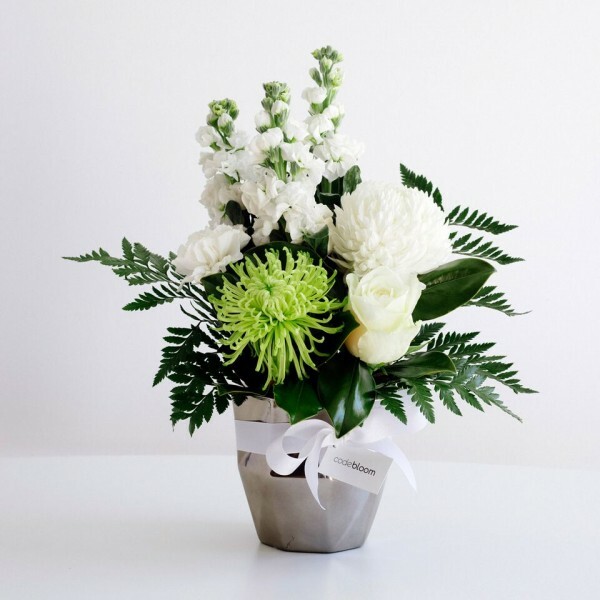 A classic arrangement to delight anyone, perfect for a sympathy arrangement or hospital delivery, and the vase itself will be reused again and again. Vase dimensions – small vase is 10 cm high & medium vase is 12.5 cm high, arrangements are made to an appropriate size for each vase.